The World Ends With You was a cult hit on the Nintendo DS. Stylish, slick and sharp, its vibrant use of youth culture motifs and "street" style art combined with an inspired soundtrack and light, but engaging, JRPG mechanics to offer players something genuinely different. There's since been an iOS port, but Final Remix here on the Nintendo Switch is the first real attempt to revive a franchise that's one game old. Who knows? If it sells well enough this time around, we might just get a sequel. Mechanically, it's fine. Play the game in handheld mode and it's entirely touchscreen driven. Play it docked and everything done via motion controls. I played it exclusively in handheld, and had no problem working my way through the pacey action. 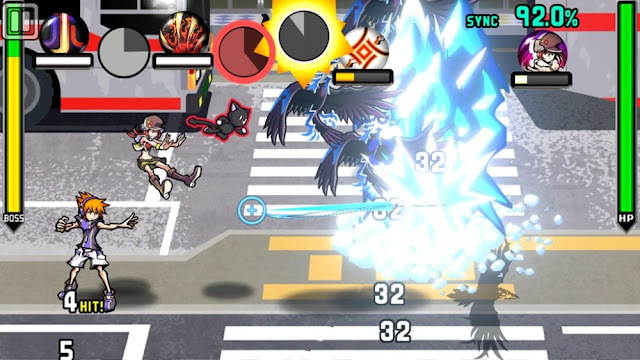 The World Ends With You doesn't require all that much precision, because it was always designed around taps and swipes of a touch screen and, if anything, the larger screen of the Switch helps facilitate play. But what is important to The World Ends With You - and the reason it has enjoyed such respect over the years - is the narrative that it weaves. On the surface this looks like it should be a series of fairly standard anime tropes; a bunch of kids are drawn into a world where they need to participate in a competitive game or face their complete removal from existence. Thankfully, it doesn't take long for the writers to start to push far deeper themes than that. You play as Neku Sakuraba, a typical teenager with a real chip on his shoulder, and little to no interest in interacting with anyone around him. Ironically, the game that he's drawn into forces him to partner up with someone else, and as he goes about trying to unravel the purpose of the game that he's being forced to play, and how he ended up in this place in the first place, he also has to learn how to work with - and develop relationships with - others. Ultimately what he discovers is that he's actually dead (no, this isn't a significant enough spoiler that I've just ruined the game on you), and the "game" that he's playing is taking place in the underworld – an alternative dimension for Shibuya, where the participants can see what’s going on in the world around them, but not actively participate in it. The reward for playing is bring resurrected if the player is successful. 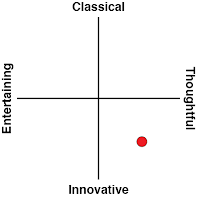 The purpose of the game is that it’s a test by a god-like being of the qualities of humanity. That idea of earning resurrection through virtue is, of course, emblematic of the religious ideology at the heart of Japan's blend of Shinto and Buddhist faith. And the virtues that earn that resurrection - the participation in society, self-sacrifice and demonstrating a respect for the world around you - is a common understanding of what constitutes virtue among the Japanese. 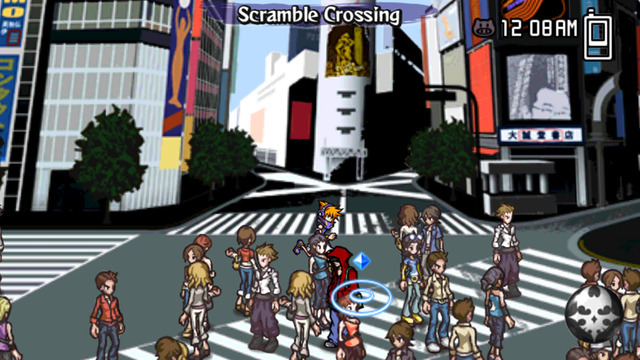 There's also a fascinating contrast between the isolation that Neku begins his adventure feeling from the world, and focusing the setting of the game at the busiest street crossing in the world (Shibuya scramble). It's not an uncommon experience for Japanese people - or those that come to Japan – to fill a similar sense of alienation among crowds of that scale, and it's fascinating that the narrative's answer to that disconnect and sense of alienation seems to be in remembering the spirituality and virtues of old Japan. The World Ends With You is a consistent blend of the modern and traditional values; two seemingly contrasting sides to Japan. 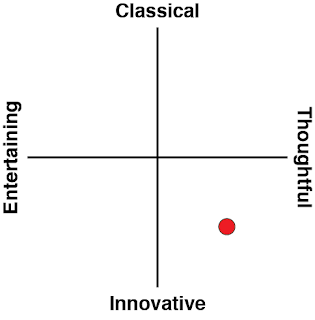 The visual and audio aesthetic is distinctly modern and pop culture in tone. Much like Shibuya itself, it's heavily indulgent around fashion and the image of a glistening concrete jungle. But then the game's enemies offer a distinct blend of ukiyo-e and graffiti art, and the narrative keeps drawing players to those elements of Shibuya that offer a deeper cultural substance. The statue of the dog, Hachiko, for example, is a symbol to the Japanese of all the virtues the death "game" wants its participants to express, and features prominently in the first chapter. This balancing act between a complete embrace of modernity while still maintaining a respect for tradition is something that many Japanese feel is something valuable to the country, but rests on a knife edge. Many feel that youth culture, in particular, is shutting itself away from tradition and those values. The World Ends With You can easily be seen as a response to that concern; an essay on how modern youth culture in Japan is still heavily defined by tradition - it might look and sound different to what has come before, but the core of the narrative seems to be arguing that values and respect are still there, and the youth, properly engaged with those around them, are more than happy to embrace that side of their culture. As a game, The World Ends With You is a very light touch JRPG. Neku will find himself a series of badges on his quest, which can be equipped, and each badge gives him access to different abilities to use in battle. Some abilities are ranged, while others are melee-focused on focused more on healing Neku. Each ability can only be used a certain number of times in battle in a row before needing to be "recharged" for a time, but those limits are fairly loose, and even if one badge runs out of puff for a time, there are other ones that you'll be able to use instead, so there isn't much of a sense of resource management in the game - and that's a good thing, because the general difficulty and speed that The World Ends With You's combat runs at means that you won't want to have to do too much monitoring as you fight. Each badge is activated in a different way. Some require taps on the screen, while others involve swipes (those actions are remapped to motion controls when playing with your Switch docked). Those badges level up with use, and naturally different enemies will require a different mix of badges - and therefore abilities - to overcome. 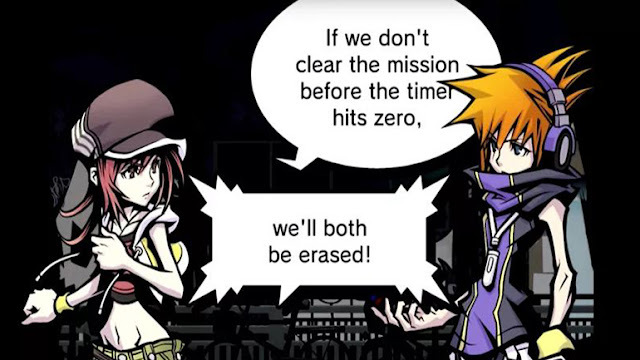 Truth be told, though, The World Ends With You has never really been about the combat or "gameplay", as such. It all works well enough, and there are some neat little puzzles to solve along the way too, but in contrast to the visual direction, the use of music, and the storytelling, the interactivity is more functional than inspired. Furthermore, the lack of precision also limits the amount of skill involved in playing The World Ends With You. There are certainly better choices for skill-orientated JRPGs on the Switch. 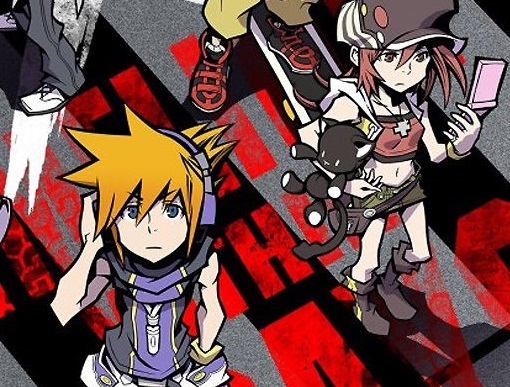 The World Ends With You's strengths are in its narrative, which is genuinely different and consistently interesting, and the verve and style with which it pulls it all off. There's reason for existing fans to play the game again, because it has an all-new chapter to work through, and there's certainly a reason for people who haven't previously played it to give it a go, because to this day, nothing else has quite managed to offer what The World Ends With You offers.